Lowest Prices for the best trailer spindles from Redline. 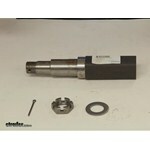 Spindle 1.5" SQ x 4" STUB (1750 lb) part number SP20484 can be ordered online at etrailer.com or call 800-298-8924 for expert service. Redline EZ Lube Spindle # R20384EZ does include a brake mounting flange already welded in place. The linked page displays all of our spindle products which include square-stub spindles without brake flanges like # SP20484. We do have 1-3/4-inch spindles but note these all have a round stub end, not a square stub. Spindles should be selected based on the axle's weight rating. 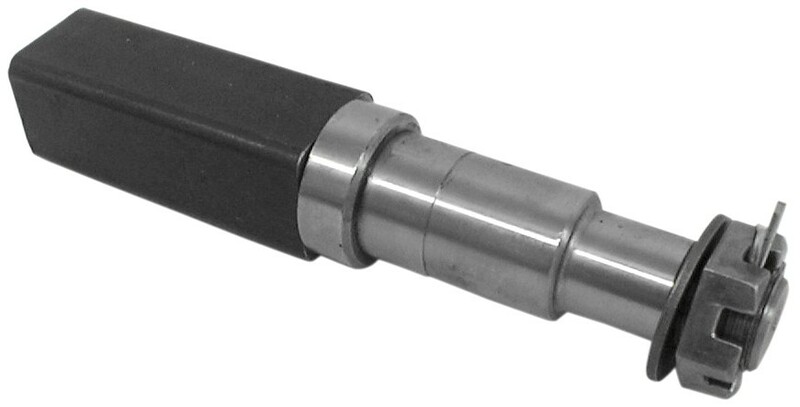 This ensures the spindle has enough capacity to match the axle. The following spindles will fit hub 84545BX 1. Spindle 1.5 SQ x 4 STUB, # SP20484, 1750 lb 2. Spindle 1.75 RD x 4 STUB, # R20484 3. 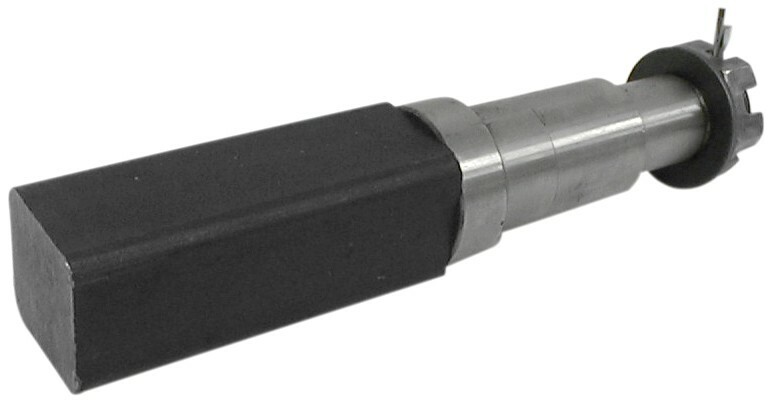 Spindle 1.75 RD x 6.5 STUB, # R2061-284. We only have one spindle with the brake flange for me to measure. 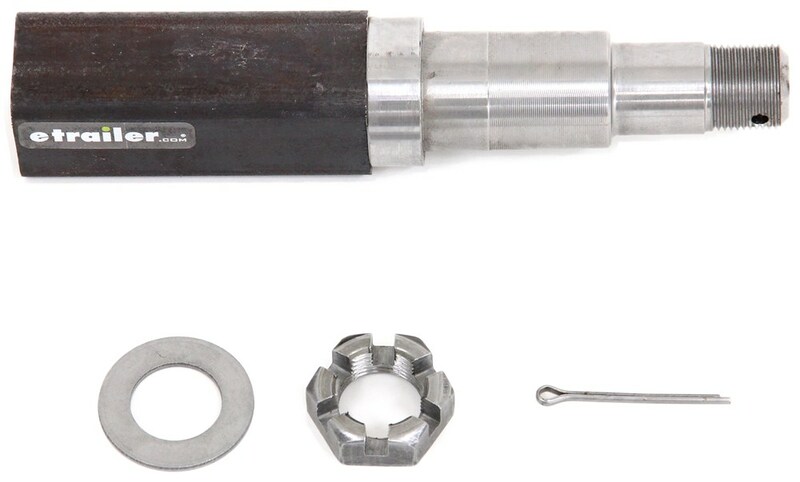 The EZ Lube Spindle 1.75" RD x 3" STUB # R20384EZ has a measurement of 1.23 inches from the step in the spindle to the outermost part of the brake flange. I've attached a photo to assist. The brake flange # 4-34 or # 4-35 needs to be welded perfectly perpendicular to the axle so it is recommended to have a professional with a jig do this welding. There is not a brake flange fit for the square axle spindle # SP20484. Adding brake mounting flanges to a spindle is something that only a qualified welder with experience welding them on should do. A much easier solution would be to go with a spindle that has a flange mounted to it already like the part # R20384EZ that would fit the same hubs as the # SP20484 that you referenced. Also, the # SP20484 is a square spindle and we only offer flanges for round spindles.